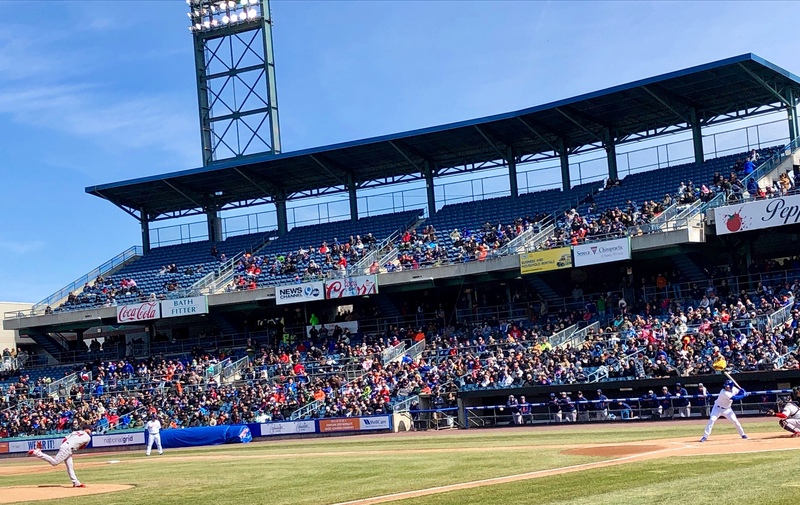 I was thrilled with the seats we landed by going to the Syracuse Mets open house and standing on the short line the first day tickets went on sale. The third-base line location five rows up Thursday afternoon allowed me to use my iPhone 8 to catch perfect baseball symmetry for the home squad at the plate and Pawtucket Red Sox on the mound. Life is good when they’re back on the diamond. We’ll get to another game just for scenes like this, Beth. Life is good, Mark, and thanks for this very good post. We are happy with the game, Ann. We had such a good time, Y! Thanks for the push, Y! Great seats! Nothing like a good ole Baseball Game! It is a pure pleasure for sure, Nance. I can ‘hear’ the joy in your writing MBM. You have a good ear, MBC.